Gachon University’s global campus made an agreement with the University of Arizona on April 16th, 2010 to exchange research, students, and faculties. 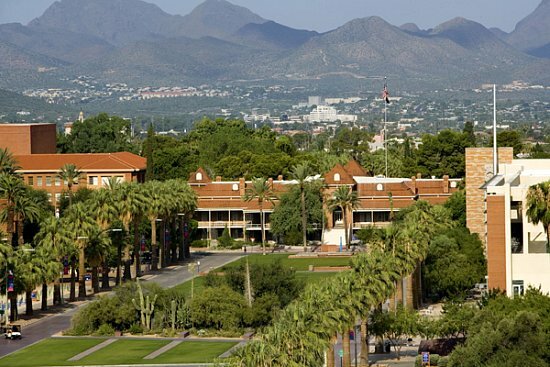 The University of Arizona is a public institute located in Tucson, Arizona. The school was established in 1885 as the first university in the state of Arizona. The current president of the school is Eugene Sander, and his goal is to give the students a high quality comprehensive education in various areas of research. The University of Arizona has 29,719 undergraduates and 6,962 graduate students. The faculties and researchers at the school have not only accomplished the feat of the receiving the Nobel Prize and Pulitzer Awards, but are also world-renowned experts. The University is one of the top research universities in the world and is currently ranked #18 among the top American research universities by the National Science Foundation. The school has researched in various areas from environment, optic science, to technology. Researchers also teach the students as well and those students taught by them can gain knowledge and opportunities to plan their future. Tucson, Arizona is the second largest city in the state following Phoenix. Nevertheless, unlike Phoenix, which has turned into an urban city, Tucson still has its 19th century style towns, showing the history of Arizona. There are numerous sports teams at the University of Arizona, such as the Wildcats.